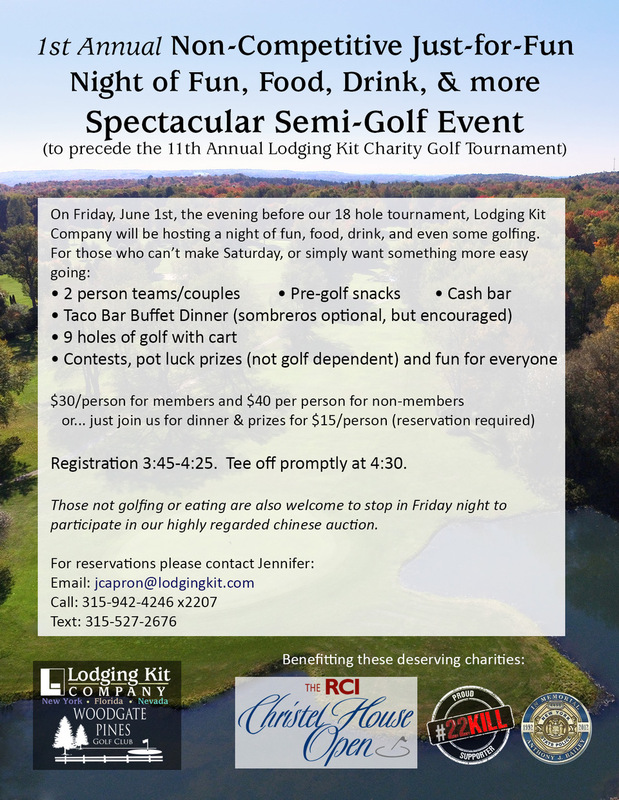 Last summer Lodging Kit Company successfully hosted our 10th annual charity golf tournament at Woodgate Pines Golf Club in Boonville, NY. We are proud to announce that it was a smashing success in raising a substantial charitable donation to Christel House, the Anthony J. Bailey Scholarship Fund and 22KILL. This year's tournament will be held on June 2nd, and given the great course conditions and outstanding staff, it will once again be held at Woodgate Pines in Boonville. The event seemingly improves each year, please join us this year in raising money for these very deserving charities and celebrate our 11th annual event! Christel House. Christel House transforms lives by providing impoverished children with education, nutrition, health care and a nurturing environment, and by empowering their families and communities through outreach services. This charity was founded by one of the pioneers of the timeshare industry, the main industry that we sell your products to. #22Kill #22KILL was founded in 2013 and the name was derived from learning of the staggering statistic that an average of 22 veterans commit suicide every day. #22Kill raises awareness to veteran suicide and mental health issues such as PTS and TBI and supports veterans through an advocacy network. Lodging Kit Company is 100% owned by three USMC veterans, so this charity is near and dear to our hearts. Anthony “Tony” Bailey Memorial Scholarship The Bailey family are close friends of Lodging Kit and Tony played in every one of our first four tournaments. An Army veteran and retired NY State Trooper, he was killed in a tragic car accident, leaving behind a wife and two daughters. A scholarship has been dedicated in his memory and has since helped numerous local students on their way to higher education. The tournament is a 4-person scramble tournament. Your entry fee includes a continental breakfast, lunch and an excellent buffet dinner. Participants who pre-register will receive a Christel House messenger bag filled with various sponsor-donated "goodies." Additionally, there are many contests and drawings for cash, free vacations, and many other gifts. In addition to the above prizes for on-course success, hackers like us can take solace in knowing that there is a HUGE chinese (raffle) auction and plenty of 50/50 raffle tickets. Few determined people walk away empty handed. Being in the vacation industry, we have many supportive resort partners and are able to give away some great vacations every tournament. This year's destinations are TBD but we already have at least 5 vacations to give away, several are "pick your own destination." Click here for a printable sign-up form. 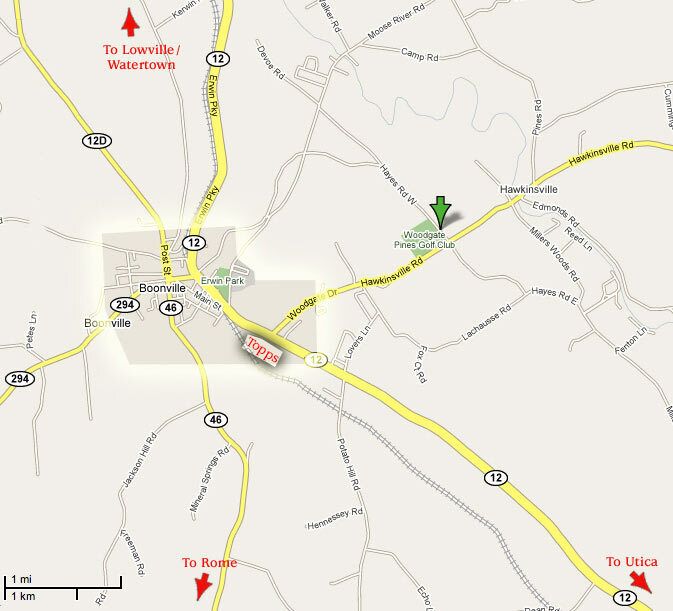 Click here for directions to the course. For immediate tournament information, please call Jennifer Capron at 315-942-4246. For sponsorhip opportunities and information, please contact Eric Martin at 315-942-4246.